Today’s music educator must be able to teach using the New York Standards for the Arts, 21st Century Skills and understand the Common Core Curriculum. NAfME suggests drawing on reference to music in the Common Core ELA Standards to connect music curriculums. Works published on the Internet, such as the article from the Illinois Music Educators Conference by Tom Foust (January 24, 2013) helps give insight into looking for key words that align musical instruction with the Common Core. All of this can be overwhelming until we identify what we teach in an ensemble class. One of the first standards that a music ensemble fulfills is the ability for students to perform and participate – collaboration, adaptability, and initiative – all very important characteristics that connects all of these standards. The second New York standard for the arts agrees with the 21st century skills list. Knowing and using arts materials and resources and analyzing information using critical thinking skills are part of working in an ensemble. The third standard that asks students to respond critically to a variety of works invokes their curiosity and imagination which fosters creativity. The fourth standard will be very visible in the works that we will present today. Helping students understand the cultural dimensions and contributions of the arts is easily understood when the students can play music from around the world and music from all centuries and in all styles. Students who experience ensemble playing from an early age tend to develop quickly and persevere when confronted with difficulty. Progression of musical skills does not develop equally in all students. Using small ensemble music allows the music educator to use challenging music but give the student the part that is best for their ability. Differentiation keeps all the students involved and gives them the ability to take pride in a work that one student alone could not accomplish. Teamwork – communication and collaboration – are necessary skills needed in today’s workplace which can be developed through participating in a unique ensemble in addition to a large band or orchestra. We are presenting music of different levels and styles to challenge your clarinet players, but the concepts can be applied to percussion ensembles, brass quintets or any other ensemble that will help you challenge all of your students. Our literature is not necessarily found in the NYSSMA manuals but presents the ability to expose students to a wide variety of music. Our handout includes a list of our clinic music, sources of music, and a list of clarinet choirs around the world. We can help you with a repertoire list if desired. Please feel free to contact us through the Internet, including e-mail, our Blog and Facebook, for any questions you think of in the future. Links are on our website. Many of our recordings are on YouTube. Enjoy your students’ enthusiasm when you set up special ensembles as a lesson group or as an extra learning activity! The Internet opens up a whole new world of possibilities when looking for music scores. Most of the sources listed offer music for a wide variety of instruments and ensemble combinations. A little time searching the Internet and networking can help you discover some great music. We receive some music in Adobe pdf format and some hard copy. You will find some small publishing/distribution houses; a growing number of arrangers and composers are setting up their own websites for purchasing their music. It is always great to find good music on free-scores.com and other free sites! Following are suppliers that are not as well-known as JW Pepper, Sheet Music Plus, Hal Leonard, etc. Some suppliers may not take P.O.’s and you may have to be creative to purchase from them. 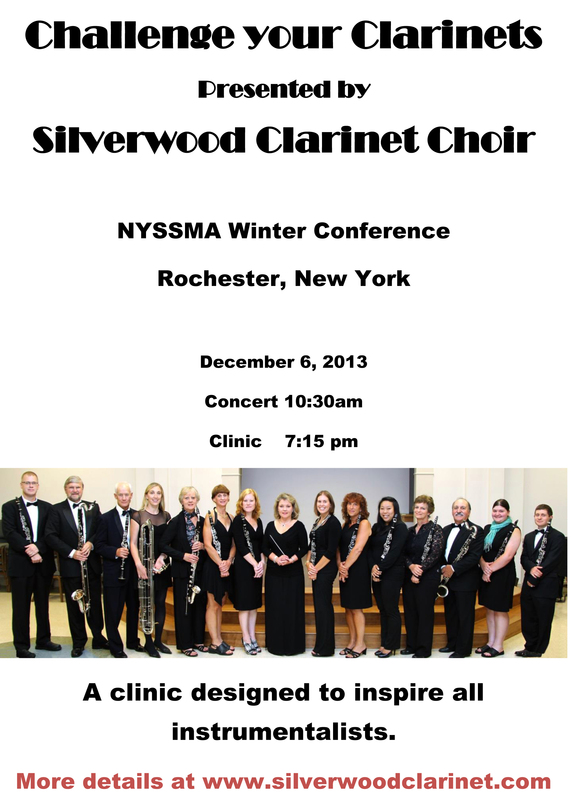 Silverwood Music Performed at “Challenge Your Clarinets” Clinic. Short selections of music from level 1 to very advanced scores. *The “LEVEL” is our estimate and not assigned by NYSSMA. E = Elementary; JH = Junior High; HS = High School; Level 1-6 is NYSSMA level. 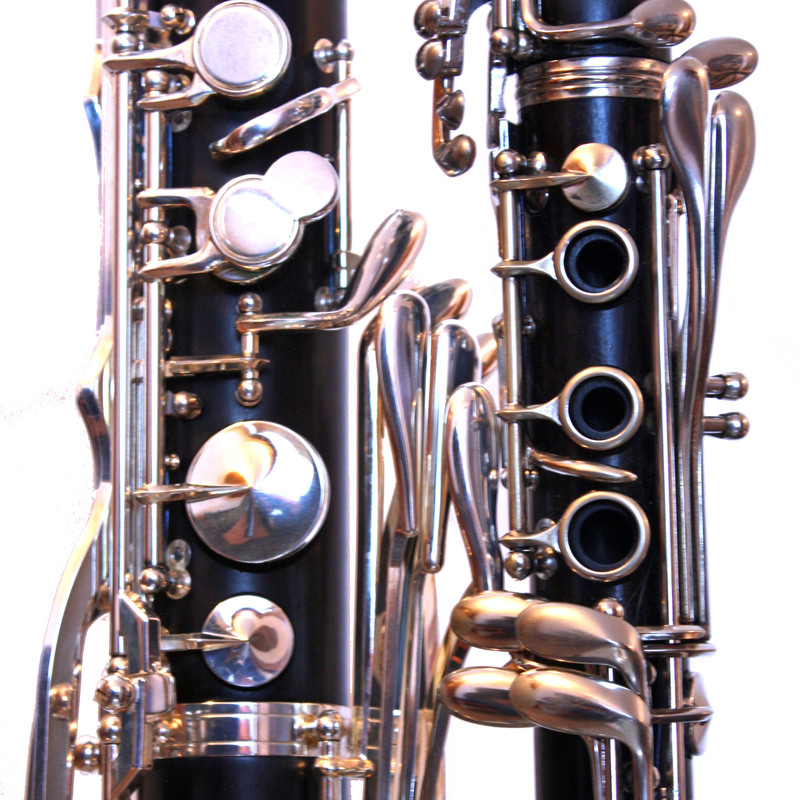 Additional clarinet choir repertoire can be found on our website at www.silverwoodclarinet.com. ABSTRACT: A concert/lecture session to help instrumental teachers build ensembles to challenge students based on the NYS Standards that will include many different genres, new ideas and concepts. Silverwood Clarinet Choir (www.silverwoodclarinet.com), a clarinet choir made up of music educators and free- lance musicians, proposes the following session to help instrumental teachers create an ensemble to challenge their clarinetists. The concepts presented can be applicable to all instrumental ensembles. A concert/lecture session will be presented to teachers and students that will give teachers the tools to create an ensemble as an extra rehearsal or in a lesson group. It will give the students a challenging, exciting and yet entertaining venue based on all four New York State Standards for the Arts. Standard #1: Performing and Participating is important for all instrumental students. This session will present works that can be performed by all students – from the beginner to the advanced. Many styles of music will be presented – from arrangements of well- known orchestral and band works to pieces written especially for the clarinet choir to popular and jazz works that will appeal to the teacher, the students and the audience. Sources for the music will be discussed – from free to reasonably priced music to fit the school budget. Standard #2: Many schools have larger instruments that are underutilized. 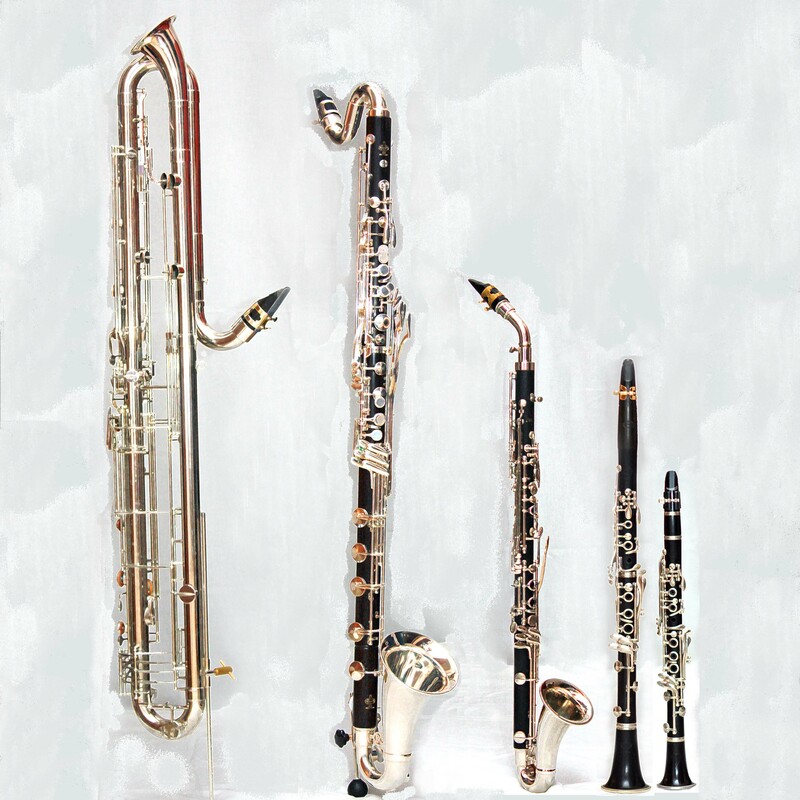 Students can participate in different roles as the alto clarinet player, the bass clarinet player and when available, the Eb sopranino or contra alto and contrabass player. Playing choir music can be done as an extra ensemble or even as a lesson group. Learning techniques and understanding various roles for balance would be excellent student objectives. Standard #3: There is a great deal of diverse literature available for the clarinet choir so students will be able to respond and analyze many different styles. This will give them more exposure to a wide variety of music so teachers will find it easier than in a bigger ensemble. The literature comes from so many time periods that connections to the students studies in Social Studies can be team taught with an academic colleague. 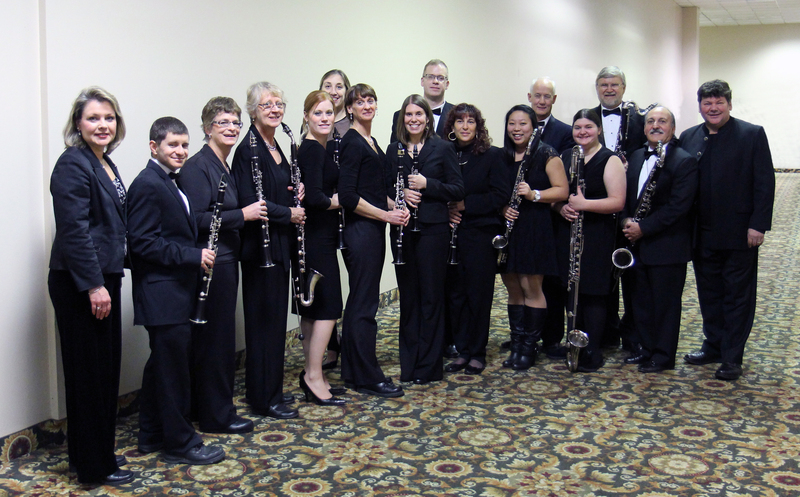 Standard #4: Silverwood Clarinet Choir will perform music that is composed or arranged by composers and arrangers from the United States, Australia, Austria,Belgium, England, Romania, Peru and the Netherlands to name just some of the cultural influences on the current literature. With the advent of Internet access and long distance learning, many of these musicians are available to give the teachers and students advice about their works. The students will find corresponding with musicians will help them understand how important the arts are all over the world.